Some of Stokes' family herd walks around in their pasture at their farm in Omro, Wis. All the animals in their herd have unique names instead of numbers like many dairy farmers. MILWAUKEE -- The U.S. dairy industry is getting hammered in trade disputes with Mexico, China and Canada, putting farms already in trouble at even greater risk. 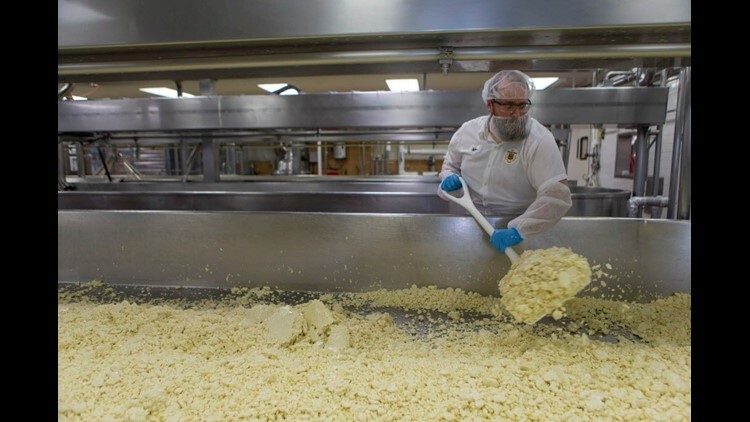 About 90 percent of milk from Wisconsin, the state best known for dairy, is turned into cheese, and all but about 10 percent of that cheese is sold outside the state’s borders. Jeff Schwager, president of Sartori Cheese in Plymouth, Wis., says he’s already seeing an impact from the Mexican tariffs.